An assassination in Sarajevo sparks a global war. For the next 30 years, deadly fighting rages across Europe, Africa, China and the Pacific. Hitler. Churchill. De Gaulle. MacArthur. Patton. Stalin. Mussolini. We know them as legends. But they first learn what it will take to rise to greatness as young soldiers, fighting for their lives on the frontlines. Theirs is one story—the story of a 30-year global struggle. A fight that will either save the world—or destroy it. Narrated by two-time Oscar nominee Jeremy Renner (The Hurt Locker, The Town), this three-night event series features gripping dramatic scenes, stunning CGI visuals and interviews with contemporary leaders, including John McCain, Colin Powell, John Major and David Miliband, along with noted historians from around the world. 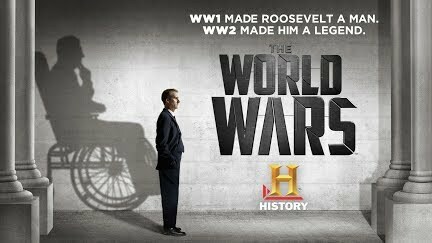 The World Wars is a mini-series event that takes viewers on an epic and groundbreaking ride through the bloodiest century in history.